Pain is the way your body communicates with you. It is signaling that something is wrong. Pain is a symptom. When you're taking pain medication, you are masking the symptoms, instead of resolving the cause of pain. Disease, illness, pain are result of trauma - physical, emotional or/and chemical. Look back in the time prior you started getting the symptoms. Did you suffer a physical injuries? Did you have any viral infections? Did you have to take antibiotics or steroids? Approach your body with respect and intelligence. It is absolutely possible to become free of pain! "Fibromyalgia is classed as a disorder of pain processing due to abnormalities in how pain signals are processed in the central nervous system. The American College of Rheumatology classify fibromyalgia as being a functional somatic syndrome. The expert committee of the European League Against Rheumatism classify fibromyalgia as a neurobiological disorder and as a result exclusively give pharmacotherapy their highest level of support. The International Classification of Diseases (ICD-10) lists fibromyalgia as a diagnosable disease under "Diseases of the musculoskeletal system and connective tissue," under the code M79-7, and states that fibromyalgia syndrome should be classified as a functional somatic syndrome rather than a mental disorder. Although mental disorders and some physical disorders commonly are co-morbid with fibromyalgia – especially anxiety, depression, irritable bowel syndrome, and chronic fatigue syndrome – the ICD states that these should be diagnosed separately." Fibromyalgia (pronounced fy-bro-my-AL-ja) is a common and complex chronic pain disorder that affects people physically, mentally and socially. In the past fibromyalgia has also been referred to as fibromyalgia syndrome, fibromyositis and fibrositis. It is characterized by chronic widespread pain, multiple tender points, abnormal pain processing, sleep disturbances, fatigue, and psychological distress. With severe symptoms, can be extremely debilitating. In conventional medicine, there is no definitive diagnostic system for fibromyalgia and there is no known cause. 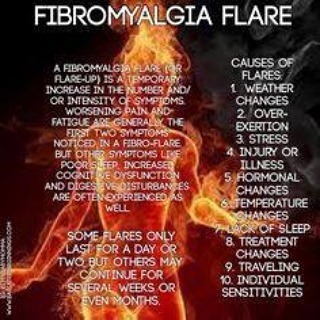 It is also believed that fibromyalgia is uncurable. TODAY IS THE DAY WHEN YOU CAN GET ONTO THE ROAD OF RECOVERY! Hypnosis is shown to be very effective for stress, sleep and pain management. Hypnosis is also shown to be the most effective in healing emotional trauma. Getting healthy and pain free is possible!